Nowadays food safety is of particular importance. Negligence or improper compliance with food safety rules can cause a range of illnesses from favorable to adverse outcomes. 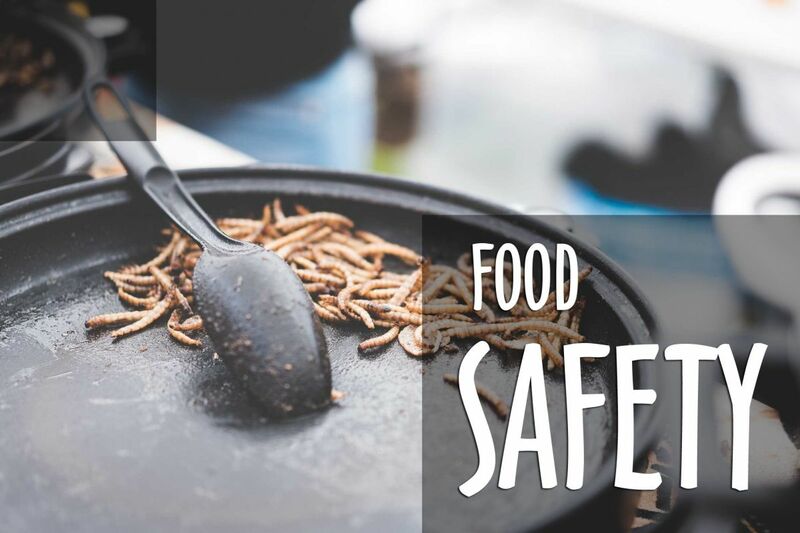 The following recommendations can help avoid and prevent many aspects of food safety violations. It is ludicrous to expect good quality if one buys products at the lowest cost. Such manufacturers primarily try to save on raw materials using the cheapest and harmful components. However, the most expensive goods do not give a guarantee of the ideal composition. In most cases, people are overpaying for brand names and are getting products to the dinner table with ordinary properties. While solving the problem of choosing the right products, it is advisable to prefer mid-priced goods. In view of strong competition, such manufacturers seek to entice customers with high quality of their food products. It is also necessary to study the composition on the label of the product and check the expiration date. If a person has chosen and brought home expired products, they have a legal right to return such foods and get their money back (Centers for Disease Control and Prevention, 2013). Talking about perishable foods, they are best stored in the fridge. Meat is stored for no more than 2-3 days, seafood and fish remain fresh for 1-2 days, while milk and dairy products sour after 6-7 days. Eggs should be stored separately from other products. Since the structure of the egg shell is porous, they are well absorbing extraneous smells; therefore, this can lead to the penetration of infections into the egg. Eating of expired food products causes a list of diseases. The most dangerous of them is infectious botulism, a disease that can be fatal. Its microbes evolve rapidly in spoiled foods. The most dangerous source of these bacteria is homegrown mushrooms. Thus, this kind of food must be cultivated by following all standards because most people die of botulism bacteria, namely due to domestic mushrooms. Moreover, improper storage of foods can lead to the growth of mold. Humidity, heat, and limited access of air contribute to the development of mold on foods. There are some kinds of mold that produce toxic substances. In fact, there are very strong mold toxins that affect the liver and kidney. As a consequence, these substances can cause liver cirrhosis and even tumors (Centers for Disease Control and Prevention, 2013). There are some rules that one should adhere to in order to prevent any health hazards. One should wash their hands thoroughly before preparing or eating food. Hands are the source of a variety of microorganisms that rapidly and constantly accumulate. It is particularly important to wash hands after using the toilet, public transport, hospitals, as well as after contact with animals and cooking meat and fish. It is necessary for food to be heat treated. Meat and fish, milk and eggs can be the source of hazardous microbes, which, nevertheless, die at a temperature of over 158o F. It also important to roast, fry or bake all products up to their full readiness. One should eat more fresh prepared foods. Food that underwent insufficient cooling becomes a potential source of diseases of the digestive system. Moreover, eating food cooked no more than three hours ago brings much more benefits and enjoyment than stale food. What is more, it is necessary to use separate utensils for cooking meat and fish. Even after insignificant contact between plastic or wooden cutting board and raw meat or fish, particles of these products, which are potentially dangerous without heat treatment, may stay on such devices. Therefore, one should always cut fresh vegetables and fruits only on a separate cutting board. It is also useful to have a separate board for bread. The most important rule is to keep hygiene inside and outside the kitchen (Foodsafety.gov, 2013). Credible sources of nutritional information include websites with domain names such as ‘.gov’ and ‘.edu’ as well as information sheets of official health care institutions or various government bodies engaged in consumer rights protection. All other information sources may be questionable and dangerous due to inaccurate information about food safety.